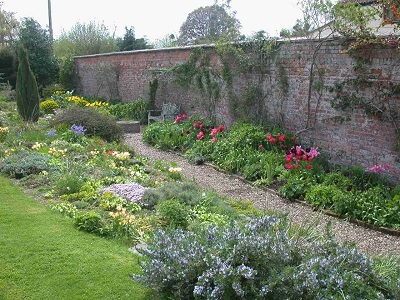 Over the past 30 years, the 5 acre gardens and nursery at Broadleigh Gardens have become well established and are a major attraction to our visiting customers. 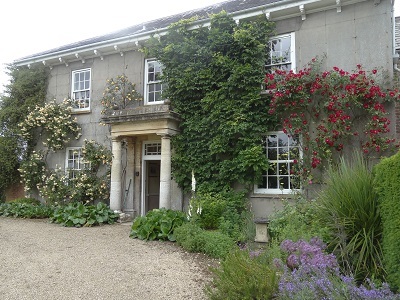 They are open throughout the year, Monday to Friday, 9am to 4pm for a £2.50 charity donation ( all proceeds go to St Margaret’s Somerset Hospice). 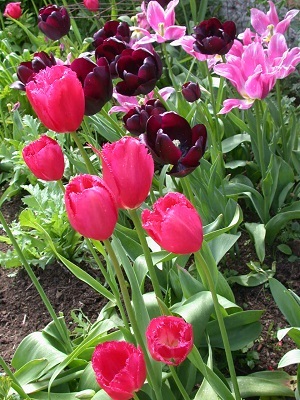 Please note that Broadleigh Gardens is a mail order nursery with only a limited range of items for sale for calling customers. 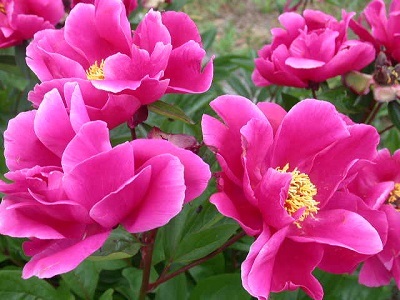 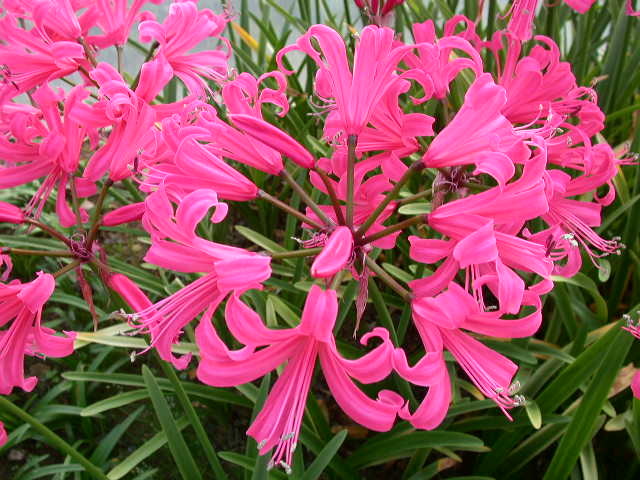 Orders in season can be collected in the usual way, provided notice is given. 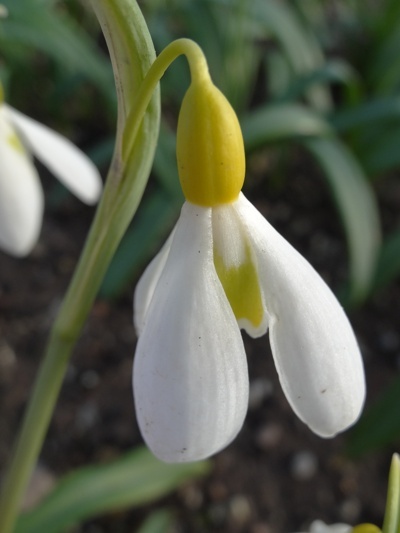 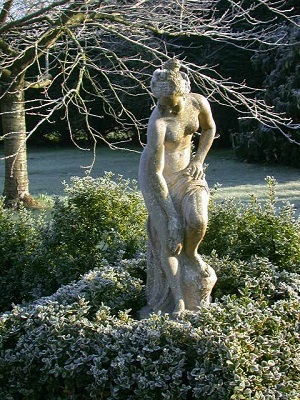 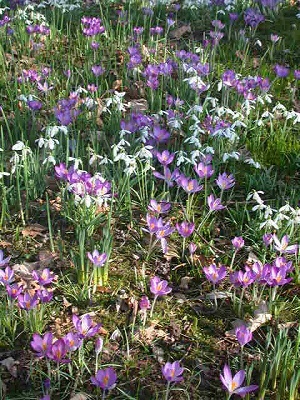 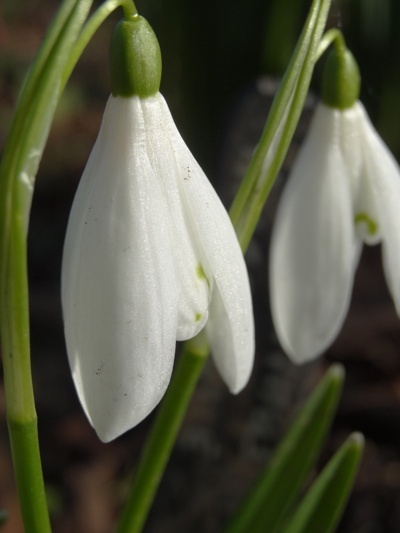 In Winter our extensive collection of snowdrops can be viewed, along with scented shrubs. 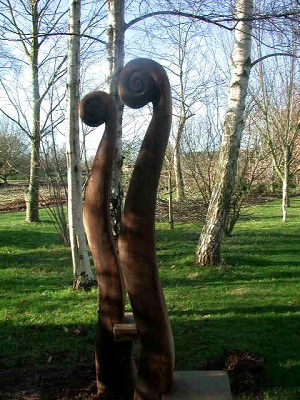 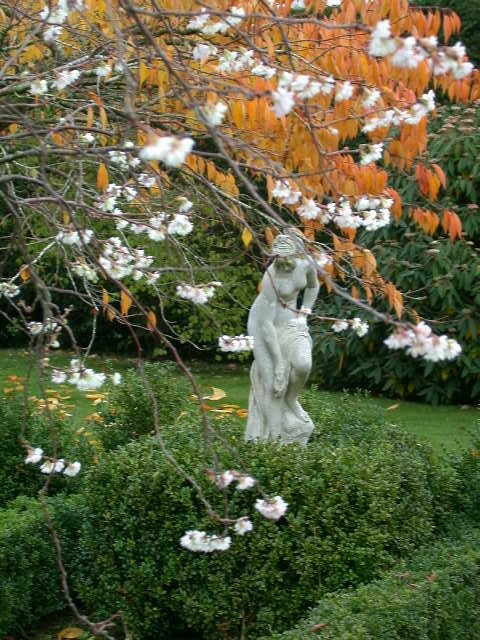 There are many foliage and structural plants as well as sculpture etc. 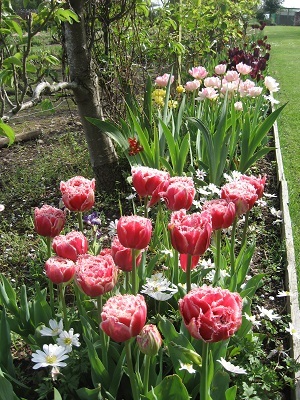 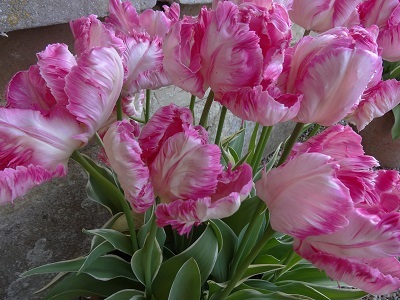 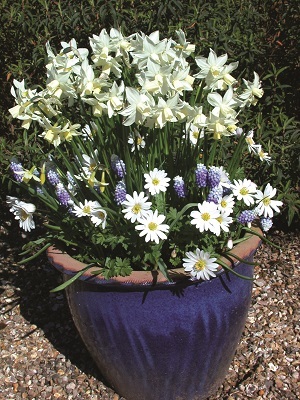 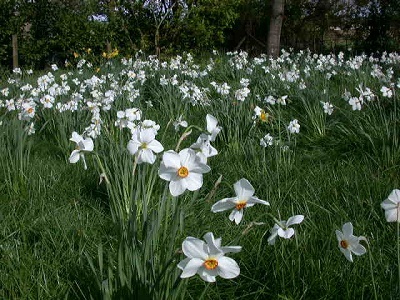 In Spring there are thousands of daffodils in the wild garden, and hundreds of tulips through the borders, and filling pots. 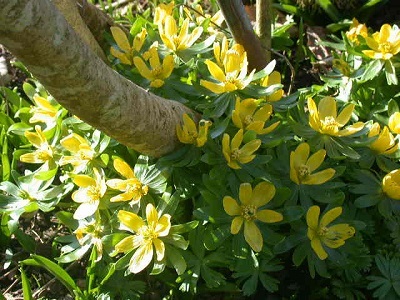 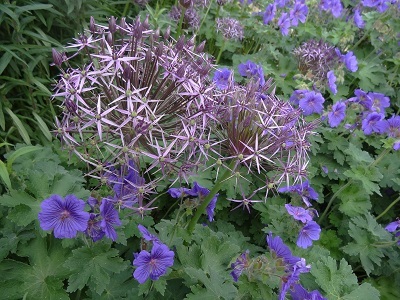 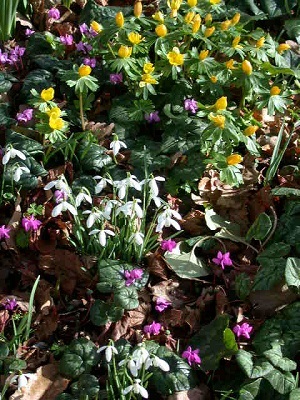 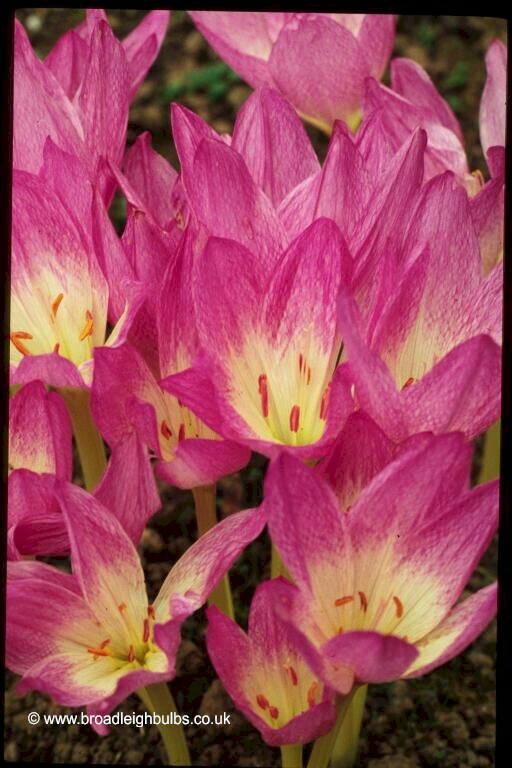 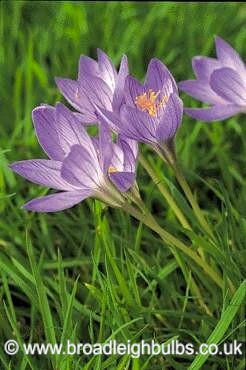 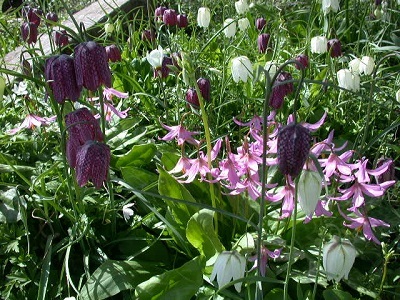 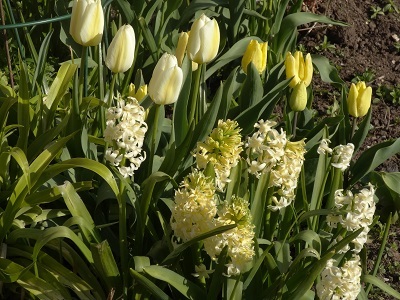 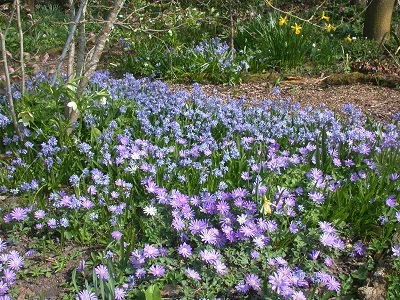 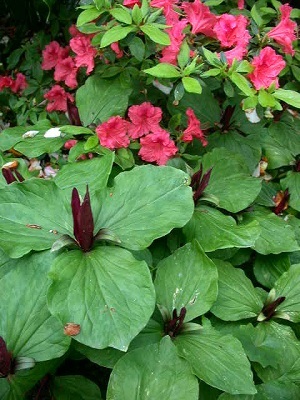 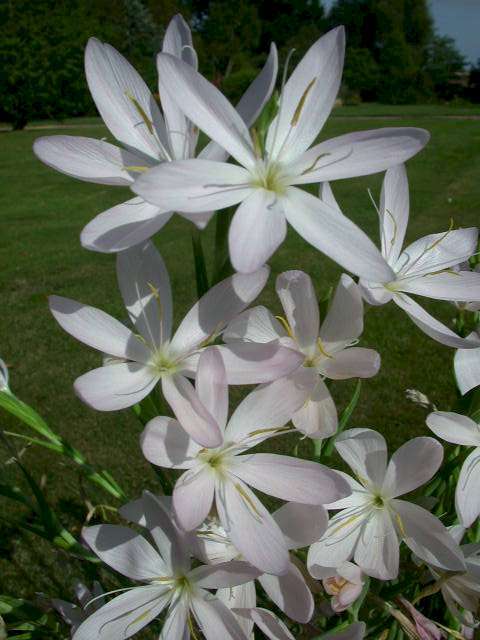 There are shade loving bulbs like Erythroniums under the shrubs. 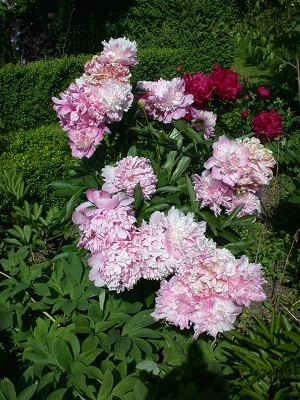 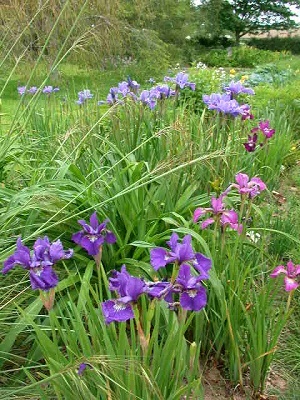 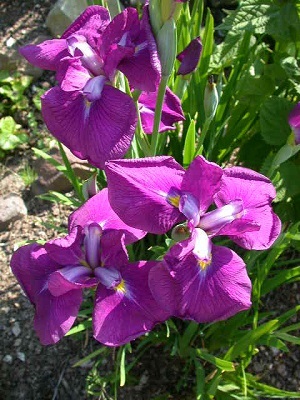 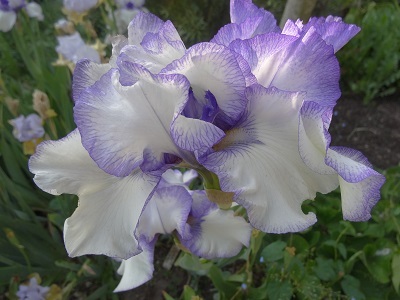 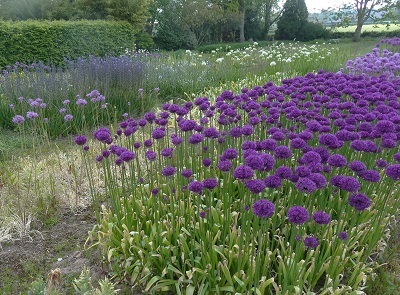 In early summer there are hundreds of iris and alliums, with peonies and roses and in mid summer the large collections of daylilies & Agapanthus can be seen. 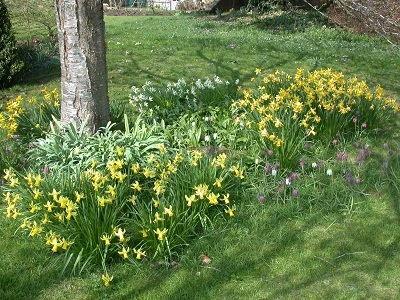 The garden borders are bursting with colour. 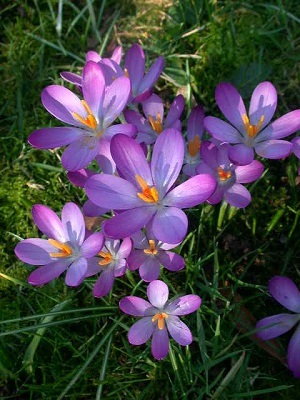 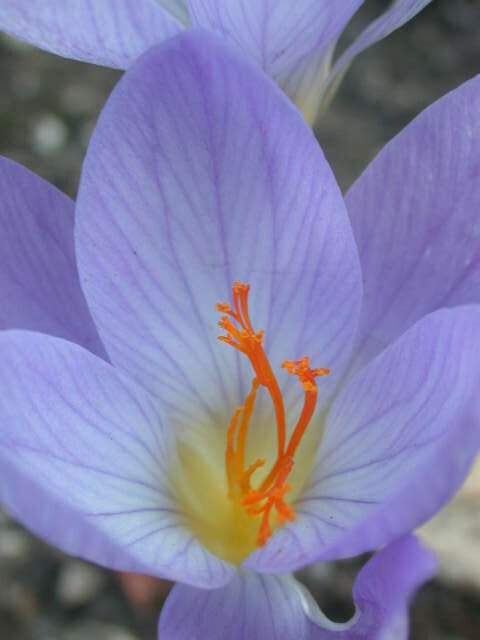 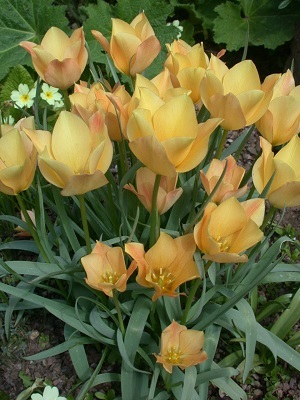 In the autumn there are massed Crocosmia & Colchicums and good autumn colour. 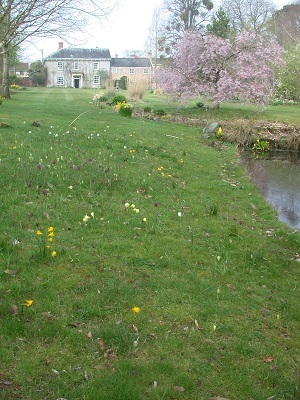 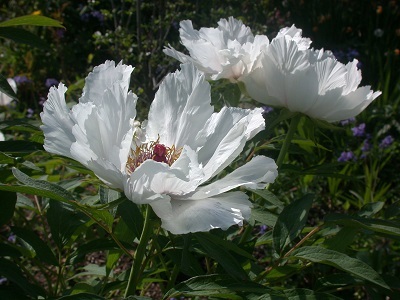 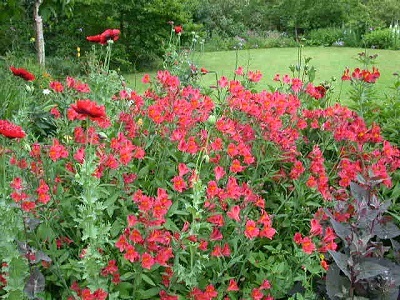 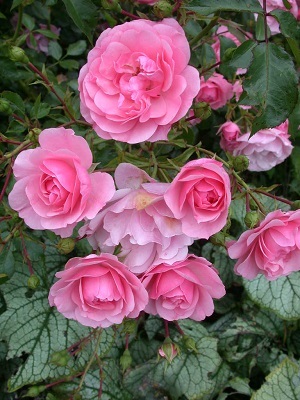 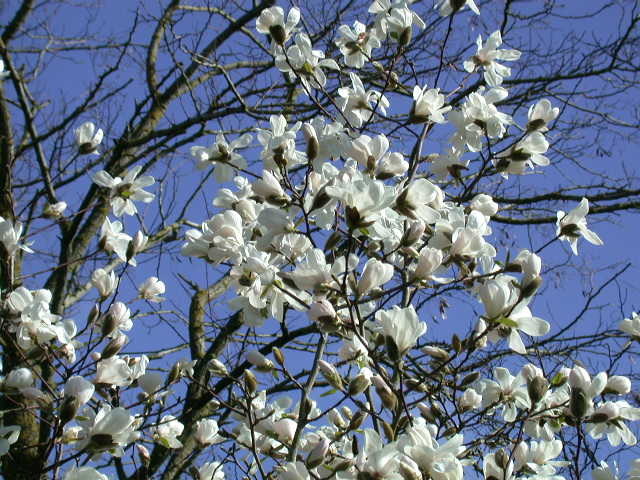 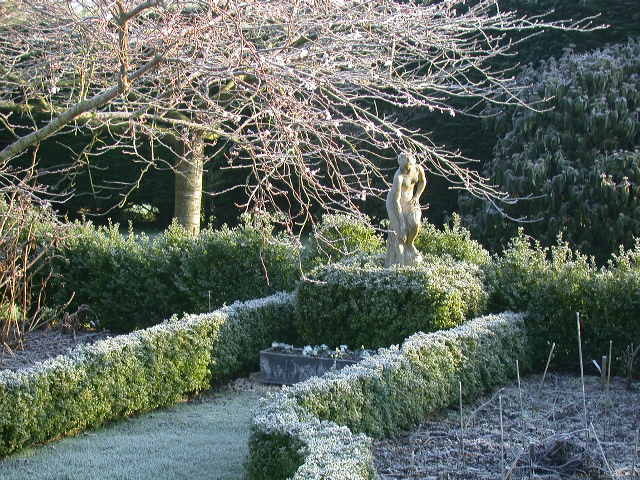 The garden has woodland, dry stream and pond, parterre and herbaceous borders so there is plenty to see. 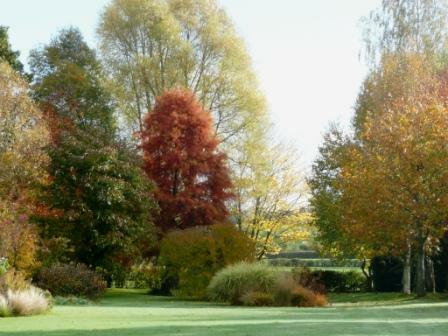 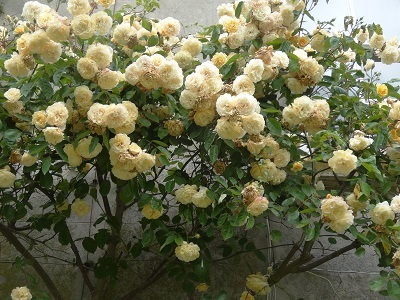 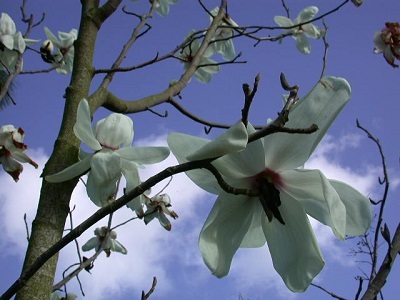 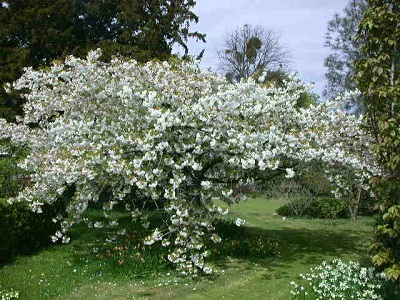 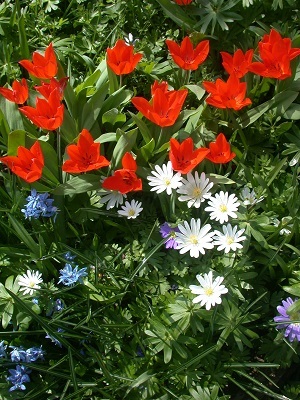 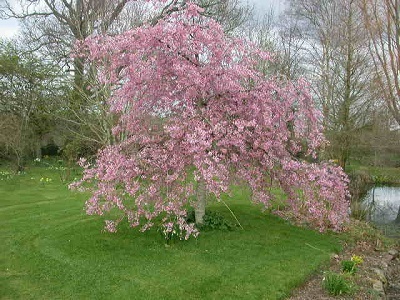 In this section, we show a few pictures of the gardens through the seasons as an appetizer. 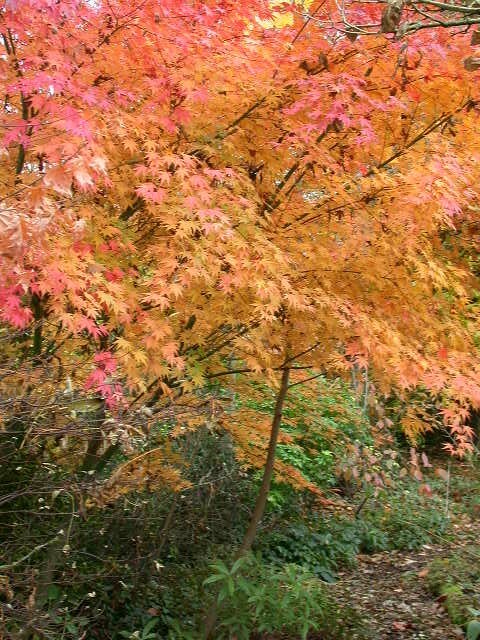 Please choose a season then click on the images to look at the larger pictures behind. 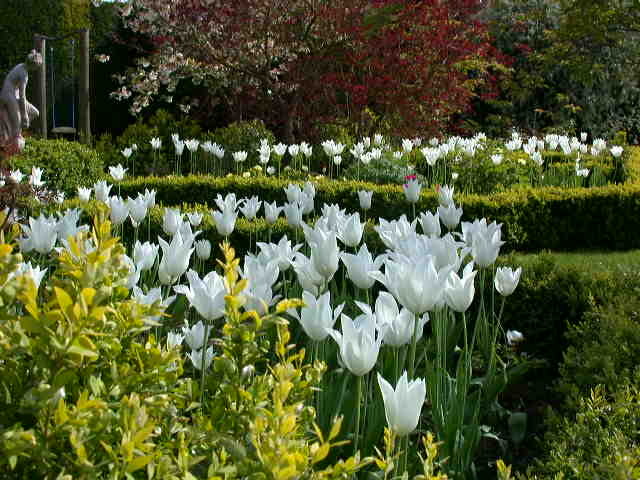 We hope you enjoy your visit. 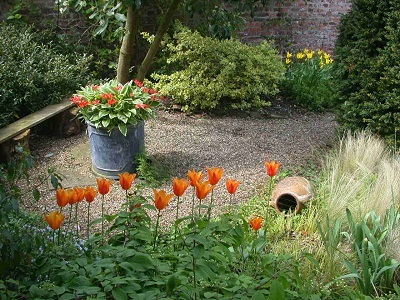 Back to list of all garden galleries.